Attention you Homosassa Scallop and Shrimp lovers!! You might want to try this quick and easy way to make this fabulous Scallop and Shrimp appetizer. Slice one lemon or key lime and layer it on top of the butter. 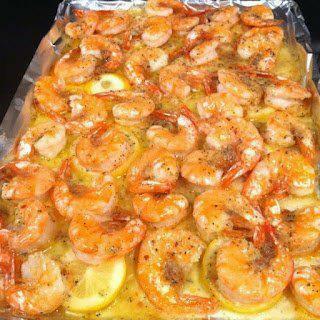 Put in the oven and bake at 350 till the scallops and Shrimp are done around 15 min. This is the best scallops and Shrimp you will EVER taste.